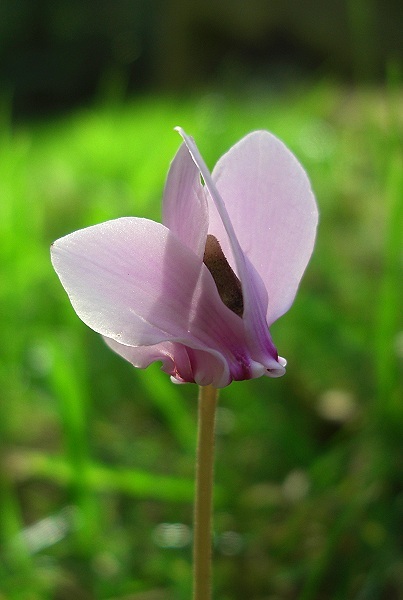 Sowbread, or Cyclamen, has a solitary pink flower on a long stem. It has five petals each about 1-2 cms long. The flowers of this plant appear before the leaves. When they appear, the leaves are large and heart-shaped. The name Sowbread originated from the time when it was used to feed pigs.